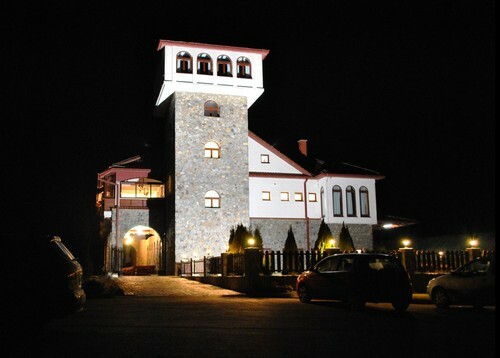 The Popova Kula Winery was built to produce the highest quality Macedonian wine and offer quality wine tourism in the region. 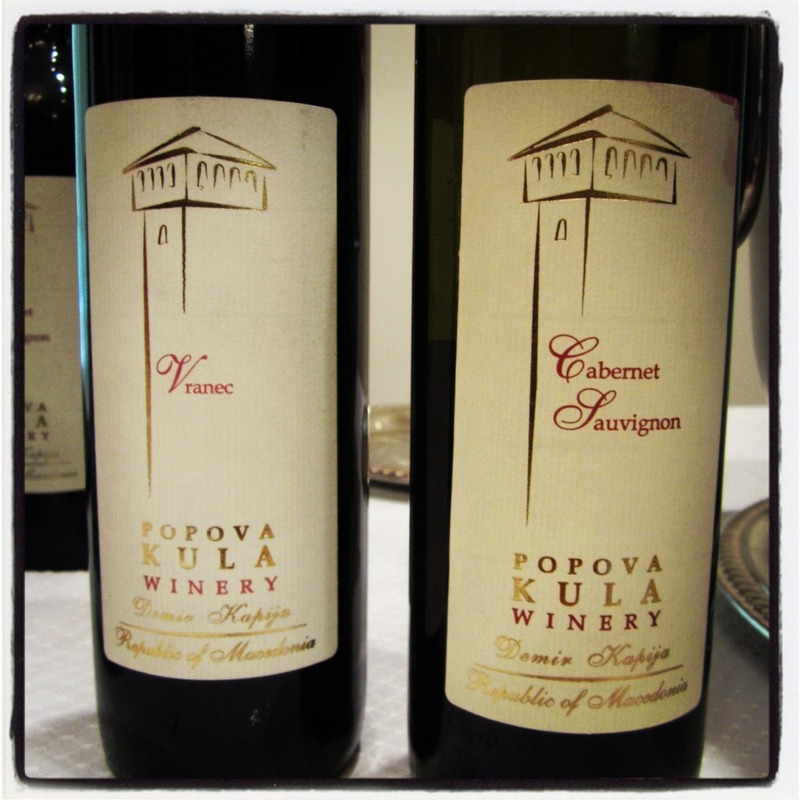 By using regional best grapes in combination with latest sophisticated technology and the experience of ourteam of expert wine makers, The Popova Kula Winery has succeeded in creating wines that we are proud of. No one can resist the unique architectural beauty of the winery, as well as unique aroma and gentle taste of our wines. 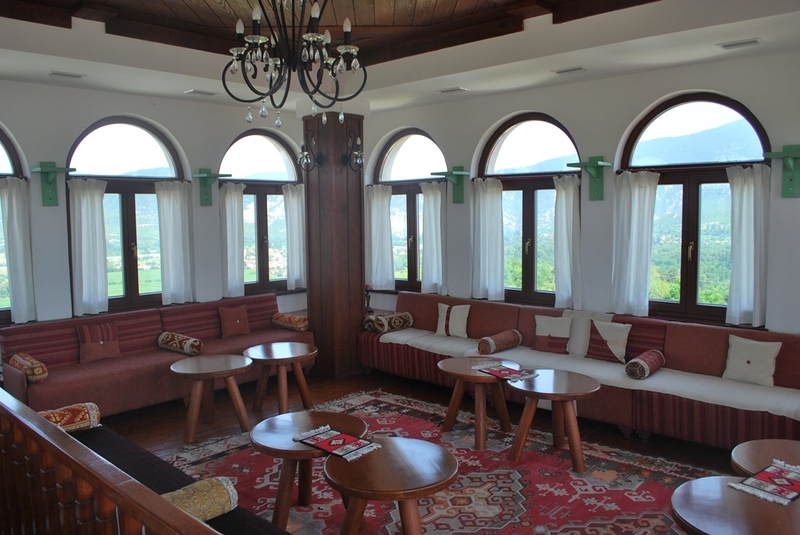 The Popova Kula Hotel offers unique experience to its guests with its distinct 4 suites and 7 rooms each decorated separately to represent our 7 types of wines. Each has telephone and wireless internet, air condition and balcony. 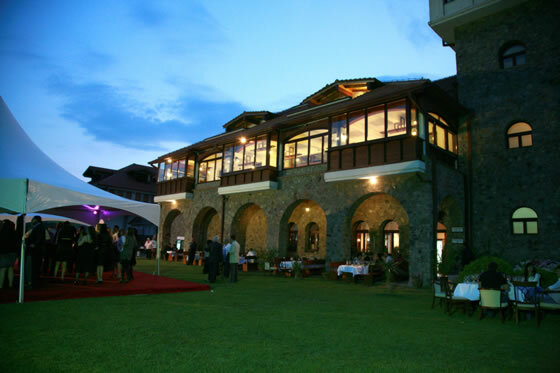 The restaurant has capacity of 60 seats in addition to 80 seats on the terrace. 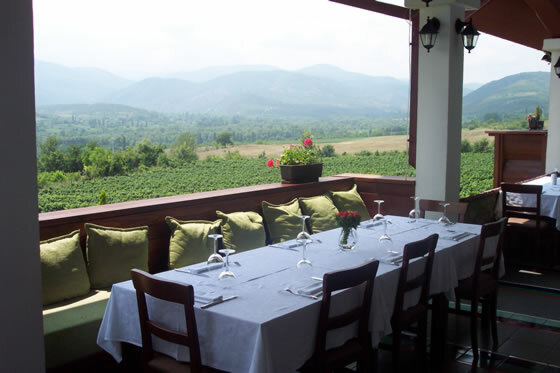 The Popova Kula Winery and vineyards are located on the south slopes of the Grand Hill (Veliko Brdo) west of the lovely town of Demir Kapija and close to the highway E-75. 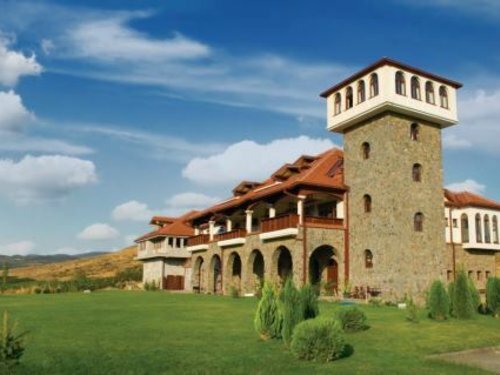 Demir Kapija valley lays on the southeast part of the Tikveshiya grape growing sub-region that is a part of the Povardarie region. The oldest archeological findings proving that people in this area have grown vineyards and have made wine date 13 century b.c. 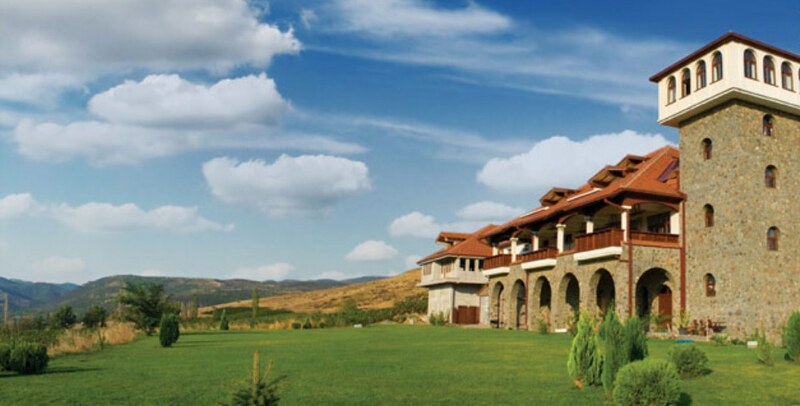 It is a location with excellent climate and perfect soil for grape growing. King Aleksander Karadjordjevic had a kingdom that stretched across present day Macedonia, Serbia, Croatia,Bosnia and Slovenia, including the Adriatic coast and Panonian Valley. He had vast possibilities to choose from for the location of his vineyard. 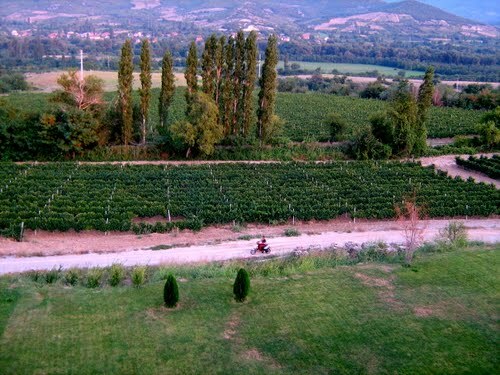 However, following the advice of trusted consultants King Aleksander chose wisely and planted his first vines in the micro region of Demir Kapija on exactly the same location where we have our vineyards today.The first time we came to the location we knew it is the perfect location for our vineyards and winery. Through our pictures posted on this web site we will try to show you why. 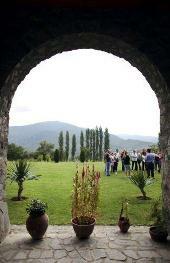 However, we invite you to visit us and to experience the beauty and splendor of the region. We are sure you will approve our decision for the location. 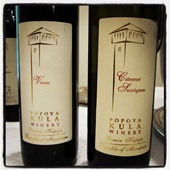 To remain faithful to the people and historical fabric of the region, our winery was named after an important tower, the Popova Kula (Priest’s Tower) which once served as an important checkpoint on the old Roman road that passes next to our location. The Popova Kula served as important markers of the region but has since been destroyed. In tribute we have erected a new 17m high tower and named the winery Popova Kula. 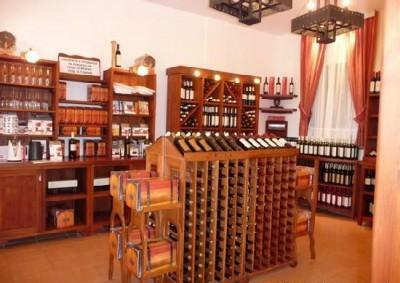 We have over 20 different types of wine from 11 varieties of grape. With the help of our professionals you can choose wines for your wine tasting session.Typical wine tasting includes 5 different types of wine with the adequate cheese, prosciutto and sweets, while gastronomic wine tasting includes 5 different types of wine with adequate meal.Our wide spectrum of high quality wines gives opportunity to have different wine tasting every time you visit this temple of wine Popova Kula Winery.Here you have unique possibility to taste wine produced from typical Macedonian varieties of grape, such as Stanushina, Temjanika, Zilavka, Prokupec and Vranec.